Bejoy Nambiar directs Farhan Akhtar, Amitabh Bachchan and Aditi Rao Haidari in chess inspired revenge thriller Wazir in a story written by Vidhu Vinod Chopra. The story starts with an introduction into Farhan’s idyllic family life where he plays Daanish Ali a Delhi Cop, has a kathak dancer wife Ruhana played by the beautiful Aditi Rao Haidari and an adorable toothless daughter noorie. Disaster strikes when defying all logic he chases down a known terrorist with his daughter in the backseat as his wife is getting her ghunghroo repaired. And this is not the most absurd plot line in the movie. Farhan amped up on sleeping pills goes on a rampage and kills the said terrorist while the Police are running a parallel operation trying to nab the terrorist alive to get information on the politician-terrorist nexus. Spiralling out of control Farhan tries to kill himself at his daughter’s grave and is stopped from doing that by Amitabh Bachchan. Amitabh Bachchan teaches Farhan Chess and helps him get his life on track and enlists him in his fight to nail the perpetrators behind his daughter’s death. There is John Abraham playing a Kashmir Cop and Neil Nitin Mukesh playing the eponymous Wazir and while these actors are not exactly brimming with talent, their limited talents are also wasted with a half-baked plot lines.For what is a short movie it feels overlong and poorly paced. The editing or the lack thereof is really what sinks the ship. For what could have been an intelligent thriller is rendered boring and insipid with its watered down plot and dumbed down narrative. The problem with Bollywood is that it has never owned a Wren and Martin or never attended figures of speech class. While going for Metaphors it ends up doing Simile. While trying to make the narrative complex and interesting using Chess moves as metaphors for calculated moves Daanish must make to help nail the culprits Amitabh ends up speaking out loud everything just in case Farhan doesn’t get it. And the final climax which you can see coming from a mile away is made even more obvious when a Child is asked to lay out the plot in sobbing bursts of storytelling while Farhan holds a gun over the head of a fearsome terrorist. Coincidence is a mark of lazy storytelling and it is on glorious display here. What could have been slick almost psychological thriller is watered down and made so bland I can’t believe how excited I was when the trailer first released months ago. Amitabh is good as is Farhan but the story is overly simplistic and the non-existent editing and over direction is what kills this story. Want a well written, competently directed and marvellously edited thriller? You’d be better served by rewatching Kahani instead and not waste your time with this tepid mess. 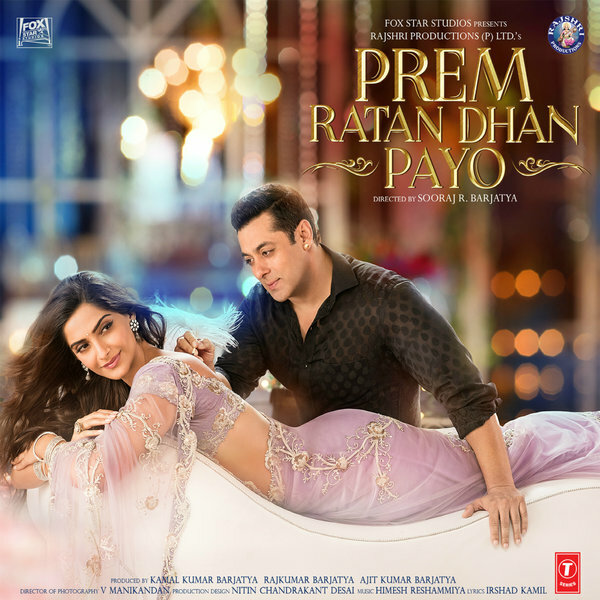 Sooraj Barjatiya reunites with Salman Khan in Prem Ratan Dhan Payo this time wooing Sonam Kapoor. Barjatiya and Salman have had a very successful run at the box office with movies that were milestones in Bollywood with Maine Pyaar Kiya, Hum Aapke Hai Kaun and Hum Saath Saath Hai. Barjatiya movies aren’t known for their path breaking storytelling or film making – he is known for his wholesome family friendly albeit slightly cheesy song and dance filled capers. But then again Barjatiya also made the dastardly Mein Prem Ki Deewani Hoon. With PRDP we are introduced to the Ram Leela actor Prem Dilwale who is the epitome of the typically Sanskaari Prem that we have come to expect from the Barjatiya camp. He is besotted by Princess Maithili who he saw once when she came in a helicopter to a flood relief camp nearly blowing off all the tents that were created on the banks of a river. Yep logic is nowhere to be found in this movie but bear with – maybe the earnestness that seems to have suddenly possessed Salman may help us tide over this minor mis-giving. Enter Princess Maithili aka Sonam Kapoor. Sonam Kapoor is pretty as a picture all through the movie – the self-proclaimed fashion icon dons many a beautiful looks. But Sonam Kapoor’s acting skills are non-existent. Her eyebrows seem to have a life of their own and seem to doing all the acting for her. Sonam’s face seems to be permanently stuck in a worrisome look. Her lackluster dialogue delivery compounds the problem. Speaking of pretty faces there is the actor with three names and zero talent – Neil Nitin Mukesh. His role in the entire enterprise isn’t exactly clear. Then there is the evil scheming Armaan Kohli who plays the estate’s CEO which is as absurd as it sounds. 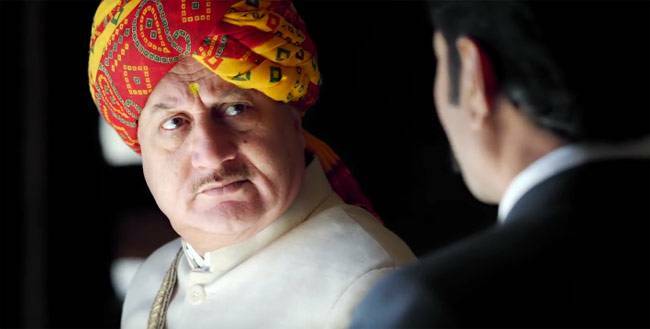 Anupam Kher plays the trust worthy diwan of the royal family and carries the entire burden of the old and wise that was usually shared by Him, Alok Nath and Reema Lagoo. Sooraj Barjatiya was all about a huge ensemble cast with simple stories which would be told with a firmly grounded moral compass which often veered very close to male chauvinism but still managed to pull it off. He was never the big set pieces and opulence guy and his attempt at the same this time around seems halfhearted with no real thought being put in to the outfits for most of the male cast. It seems like Ajay Arvindbhai Khatri regurgitated all over the cast with clothes that are on the clearance rack. What Barjatiya manages well is the music – the songs are all memorable and hummable. But their dance sequences leave a lot to be desired. While Jalte Diye is a beautiful song the song sequence which tries to marry the Mughal-e-Azam scene with the feather with the color scheme of Chand Chupa Badal mein falls flat and it doesn’t help that Sonam lacks the sensuality of either Madhubala or Aishwarya. 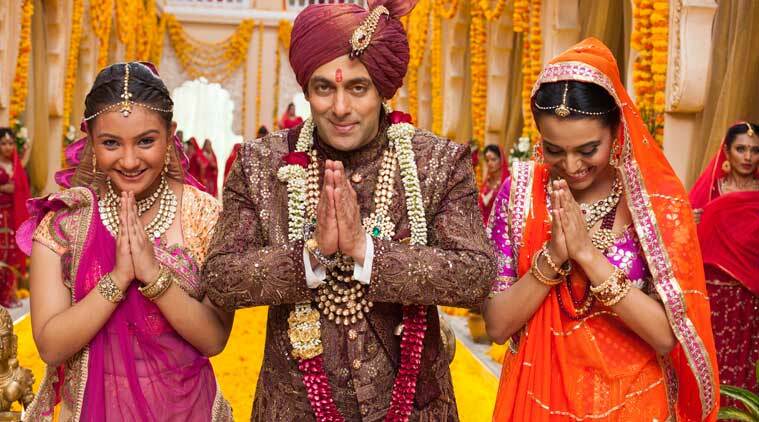 Salman Khan tries his hardest to infuse some fun with his role of a simple village bumpkin pretending to be a prince trying to woo a princess while working to uncover the sinister plot that put him in this predicament in the first place. The whole climax at the sheesh mahal seems pointless and completely out of place in a Barjatiya movie. The second half of movie seems to be entirely unnecessary just as the football match before the intermission. Memorable songs, an earnest Salman make this a slightly enjoyable time spent at the cinema but it by no means is a movie I have any inclination to revisit this movie unlike other Barjatiya capers.